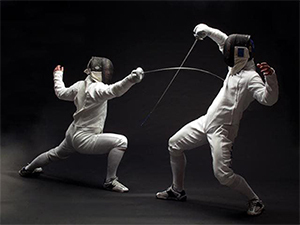 The Beverly Hills Fencers’ Club (BHFC) offers foil, saber, and epee instruction and open fencing. We welcome both newcomers to the sport and experienced competitors. Call ahead and arrange for your free introductory lesson. We have all the equipment available for loan to get beginners started right away. The Beverly Hills Fencers’ Club (BHFC) was founded 30 years ago by Margo Miller. Over the years the club has grown tremendously and continues to offer exceptional fencing facilities for all weapons. BHFC is the only fencing club in Southern California with a staff of internationally certified coaches in a facility that is dedicated solely to the sport of fencing.